Photo by Shelly Hanks, WSU Photo Services. 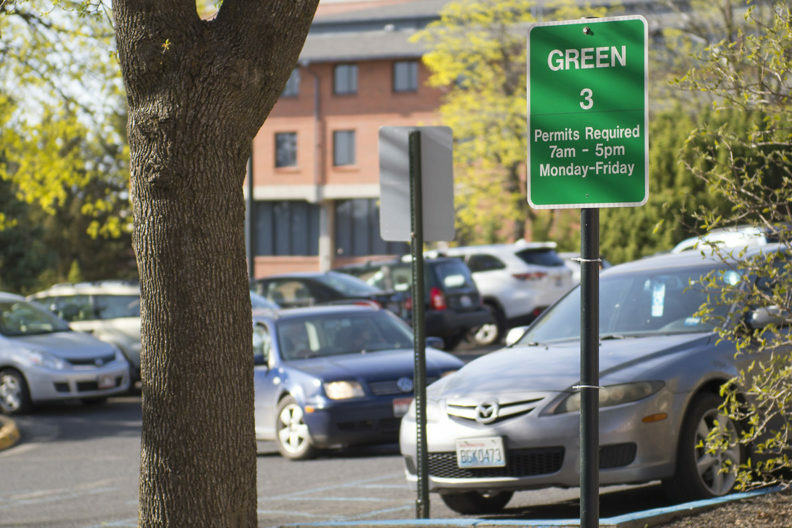 Washington State University Transportation Services and the University Parking and Transportation Task Force are recommending parking rate increases beginning July 1, 2019, on annual and daily parking permits. The tables below show the details of the recommended permit rates. WSU Transportation Services is fully self‑supported and does not receive federal, state, grant or tuition funding. Revenue from parking fees and fines directly support capital projects and maintenance and operations of the WSU parking system. “Revenue from this proposed parking rate increase will enable us to make sure our facilities remain in a good and safe state of repair, which is critical to serving the needs of our growing campus community,” said John Shaheen, director of WSU Transportation Services. The 15‑member University Parking and Transportation Task Force was established to provide WSU Pullman with a global campus perspective and broad representation on parking and transportation issues. The task force members meet monthly and represent various university groups, including the Associated Students of Washington State University, the Residence Hall Association, the Graduate and Professional Student Association, WSU faculty and others. Additional financial information regarding Transportation Services can be found on the Transportation Services website.